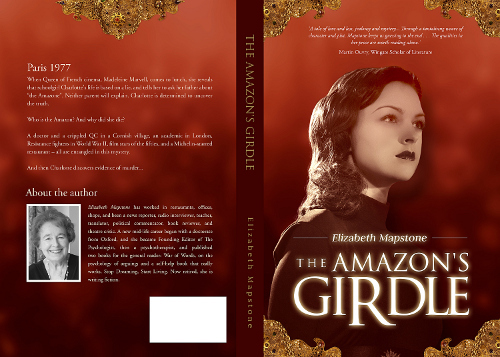 At last I can show off the beautiful cover designed by Ana Grigoriu for my novel, The Amazon’s Girdle. I am so pleased with it, I just had to post the thumbnail she sent, even though I probably should wait for the Final Final Print Ready version. Right now, I have a love-hate relationship with my computer. We spend so much time together, it’s hard not to resent the time NOT spent in the garden, with friends, thinking about something other than getting the words right. But I hope you will read the result of all this hard work, and enjoy! Then it will be worth while.